Coaching. It’s everything. Monty Williams is in complete, total control of every single thing that happens on the court. Did a player miss a shot? His fault. Did Chris Paul carve up our defense? His fault. Sadly, I left this game with a bitter feeling, and it had nothing to do with actually happened in the 48 on-court minutes. Instead, it had to do with the rampant scapegoating and despair that a portion of our fan base seemingly couldn’t avoid. It’s hard to win on the road. It’s hard to win at the Clippers’ home court. It’s hard to win on the second night of a back to back. It’s hard to win when calls aren’t going your way until the game has been decided. It’s hard to win when you are getting two of your best players back for their first game. It’s hard to win when you are playing the smartest and best point guard in the game today. It’s hard to win when your players are walking under shooters, giving up easy dunks, and allowing 36 free throws. I don’t know if Monty Williams is a great coach. I really and truly don’t. While I’m sitting on my couch eating Twizzlers and watching the game, Monty is out there coaching an NBA team. So if/when I critique something, I try to keep in mind that Monty Williams knows 10x more about basketball than I ever will- and this is just a guess, but I bet it applies to most of the fans as well. This isn’t to say that you shouldn’t question decisions, or that you should just stare blankly at the screen and not try to analyze the game. He makes mistakes, and you might catch them.. and that’s fine. Voice them intelligently, discuss them, whatever.. but please, for the love of all that is good in this world, stop saying cliches about coaching without any sort of explanation. And tonight, I don’t think there’s much Monty could have done. Okay, so back to the actual game. The reasons that I listed above matter- the Pelicans were playing a superior team on the 2nd night of a back to back. They were playing a team that beat the Warriors by 11, the Rockets by 19, and the Thunder by 8. Circumstances were not in the Pelicans favor tonight. Tyreke Evans hit his first field goal with about 6 minutes to go in the game, Ryan Anderson’s shot was off, and not a single Pelicans player registered a positive +/- tonight. The Pelicans managed to collect a ridiculous amount of offensive rebounds, but there were 2 sequences that must’ve accounted for half of those. And in each situation, the Pelicans took 3 or 4 looks at the basket that were nowhere close to going in. The Pelicans also struggled to contain Chris Paul, which led to 10,000 many open dunks for Blake Griffin and DeAndre Jordan, who feasted upon the rim all night. When the Pelicans tried to collapse the defense to stop this, Jared Dudley and other shooters started getting open looks. The refs certainly weren’t helping either, and though they made some calls at the end to make the gap seem less drastic, they weren’t too kind with the whistle when the outcome was actually somewhat opaque; as always, I’m not saying this is why the Pelicans lost, but I don’t think the officiating helped matters tonight. The good news, though, was that Anthony Davis and Tyreke Evans returned from injury, and really, that’s what I take from tonight. Yeah, there are plenty of ugly things that happened in the game, and I’ll surely wince a few times when watching film tomorrow. But really, what is more important than getting the Pelicans’ franchise player back roughly a month before we were supposed to? Evans’ return is also a sight for sore eyes, as the Pelicans bench had lost some serious punch in the games he had missed. Davis looked rusty, but still managed to put up a gaudy stat line. He was seemingly everywhere, and he had no problems throwing his body around despite probably being a little tentative about his injury. Davis’s shorts mopped up every bit of the Staples Center floor tonight, whether it was falling on a dunk attempt, saving a loose ball, or doing that “I am in a bad situation with the ball and am going to pass to a teammate awkwardly while I fall the floor” thing. Be calm and press on. Davis and Evans returning to the lineup was great to see, and maybe the Pelicans can steal a game or two to close this road trip. Better times lie ahead, so be patient. There is no reason to panic. Uglier triple-double? Tyreke or Ricky (almost)…http://www.youtube.com/watch?v=XDtGHHnA9ms…? I gotta admit, three or four years ago I would’ve been right with some fans throwing Monty under the bus. But then I got my first head coaching job, and players only do what you tell them about 10% of the time. You pound it in their head, they run the sets in practice. Make the right rotation in practice, etc. Come game time, they revert to the same garbage they have been doing all their life. I have had these kids for 2 months. They have played for 10 years prior to that. Takes a LOT longer to break those habits. I admit, I sympathize with Monty (and all coaches) now. I have to disagree. There’s coaching, as in x’s and o’s, and when it comes to that I can’t challenge the team’s playbook, except to say that they can’t be running it well, because they are chronically down every possession to 5 seconds before someone improvises a 30-foot heave. But there’s also coaching as in the way a team carries itself. Tonight, the typical Pelicans pose was 2 players in the backcourt with their hands in the air signaling like an extra point in football, and the Clippers racing downcourt on a fast break. This fits under the category of nobody having been coached on taking one (or two) for the team. Sometimes, you just gotta take a tech. Sometimes, you just gotta get yourself pulled off of a ref that’s letting call after call go the other team’s way. If your team doesn’t think you’ll fight for them, they won’t fight for you. Second of all, we need enforcers. Guys who won’t let other teams try to chump their superstars. Clipper players took lots of shots at our franchise guys in vulnerable moments. There were too many close calls on plays that could have resulted in serious injuries and more lost playing time for our starters. The NBA is self-regulating, at least among the elite teams. Top teams won’t let you take a free swing at their franchise players. They won’t let you try to show someone up. But they’ll try to intimidate you if you’ve been coached to appeal to the refs instead of pushing back. I fully believe that this team has been stocked with too many “nice guy” types, and it is coached by someone who wants the NBA version of the “beautiful game.” But if you want to do that, you have to have an EDGE to go along with it, or you’ll get pushed and shoved around and all your pretty pattern plays will go up in smoke. Did Monty learn none of this from Pop? Would Pop let him team get thugged by the Clippers AND the refs? They’d carry him out on a stretcher before that happened. there’s no inconsistency between playing a precision game and possessing the toughness to not stand for the sorts of things that Chris Paul pulled like the times he deliberately undercut Anthony Davis. Monty maybe only knows the playbook side of the game. The politics, the gamesmanship? The in your face sticking up for your team part? He fell off the Popovich tree before he learned that part. I’m so glad someone put it into words. I hate how people blindly throw out “Monty needs to be fired!” without any reason at all, because while I have been frustrated with some of the stuff he’s done as coach of our New Orleans team, and he may not even be in the top half of the league as far as coaches go, but he’s never had a completely healthy, good team. This year started off with injuries, Evans being rusty from missing preseason because of an injury, Anderson missing because of his foot, Stiemsma going down for a few months, Miller not able to play until just a few days ago, Davis going down just when things were starting to gel, Evans spraining his ankle seemingly every other game. Monty just hasn’t had much of a chance to coach the team he thought was put together for him to coach, at least not a fully healthy one, and while obviously the coach is to blame some of the time, players go out there and win the games, and we haven’t had all of our players for a good part of this season. And that’s to be expected, but the volume of injuries we’ve had has been more than most teams have had to deal with. So it just saddens and frustrates me that so many people are chanting for Monty to be fired, just to be saying something and looking like they know what they’re talking about, when there are so many other things riding on our successes and failures than a coach, especially a coach that hasn’t gotten to work much with a full team but has done well when he has. Anyway! Let’s focus on at least one positive here: Davis and Evans are back! But I hope people didn’t expect them to win the game single-handedly for us tonight, especially against one of the best teams in the West, especially at home. And especially against a team like the Clippers who can destroy you inside if you don’t really have anyone down there. You can’t really expect to win against a team like that when your only two big men that played were both power forwards. We’d have a better chance of beating the Heat. What will go completely unreported by the national sports media was their darling Chris Paul padding his stats by shooting and assisting meaningless 3 pointers in the waning minutes of this blowout. Stay classy, CP3. I’m not Monty’s biggest fan, but I agree with you that you can’t blame him every single night. However, I’m not sure I agree with Lou not getting a single minute while we were once again getting abused in the paint. I don’t know what their solution for that is, but Jason Smith is an absolute liability defending the low post. His +/- last nigth was -14! His 10 points/game are nice, but they’d be much nicer coming off the bench. I’m with you on taking the positives and hoping all of these things works out. The bottom line is that this team will probably never be a defensive powerhouse, but in due time, and if we remain healthy, we should be able to stay competitive with every team in the league. Come On Pelican no..they wasn’t meaningless, we had a mini run to cut the lead to 12 with 4 minutes left… so there’s no reason to attempt to demonize cp3.. AD and Tyreke are back. Like Gloria said in White Men Can’t Jump, sometimes when you lose you actually win. I don’t know what it means when your injured players return, get 24/12 and an ugly triple double, and you still get thumped, but I’m not going to the darkside this morning. Its becoming more and more apparent that it may be wise to find better use of that 14 million being paid to Gordon..
Agree! This is my big take away from last night: “Coach is doing the best he can without an adequate replacement for Lopez… Except for AD our Bigs are Stiemsma and Withey… Jason is a power forward… ” Plus I’ll add Smith can’t defend well down low and his 20 footers are better suited to the 2nd team because it has trouble scoring. Smith basically can’t adjust his offensive game to his role as starter. Add in his bad D, and you have lowest +/- on team last night. The guy possesses zero leadership skills. Doesn’t make others around him better. And his shot is average at best. What are we waiting for? With 46 seconds left and a 12 point lead, Chris Paul took and missed a 3 point jump shot. Then after DeAndre Jordan rebounded Paul’s miss, with a 12 point lead and with 7 seconds left on the shot clock, CP3 assisted on a 3 pointer with just 28 seconds left to go in the game. Eight seconds later, during the next stoppage of play, Doc Rivers took Chris Paul out of the game. This all came after CP3 made a 3 pointer with 1:54 left to play in the game and missed a 2 point shot with 1:37 left to play, a 14 point lead and 12 seconds remaining on the shot clock. I have been a big Monty supporter. And have been happy to watch the Pels build on a slow boil. If anything, I am sorry they rushed the rebuild with Jrue. But since they did, I am in full blown ‘hope they win’ mode. I would be lying if I didn’t say that dreams of Stan Van weren’t drifting through my head. I was fine with losing the last couple years (I know most the mods here think that fans should only root for wins. I sacrifice today for my future all the time, I don’t know why I can’t be glad my sports teams are doing long-term planning). But when you push all the chips to the table…ughhh I don’t know. Long time reader, first time commenter…. much in closing the basketball IQ gap from being a retard to the low to medium basketball IQ fan (depending on the subject). Sorry for the awkward spacing! LOL! His heart should have stayed in Phoenix after all this guy don’t have zoro once of toughness. Whats worst the Pels have Doc’s son on this team.Austin belong in the WNBA. CP3 will be a spawn to the Pels for a long time it’s not like he left NOLA with ill will.Just an crybaby that wanted the spotlight. Papa PelicanIf he’s in the NBA, he’s one of the best 450 players in the world. It’s not your place to decide his talent level, people who do that for a career have taken care of that. @amuller Every point you made is correct. Our offensive presence is inconsistent. During our 3 game win streak (which was on the road), I thought we had found our identity. We were running and gunning, scoring over 100 points at will and giving team everything we had. Now we a back to that slow methodical, half court BS where we shoot more jumpers than anything else. That does not work for this team. This teams needs spacing to operate and we are not getting that because teams don’t respect us. They respect us when Evan is getting to the rim, or when Davis is in beast mode, or when Anderson is hitting 3 pointers for in the bleachers. But when we run the slow half court sets, no one can get a good shot off because teams are not respecting our pick and roll, they don’t even respect our best shooters. We command no double teams so teams just play man to man and wait for a bad shot to go up because of our wack half court set. Monty needs to just realize this not a defensive juggernaut that he was hoping for. What makes the Spurs great is they always play to their strengths, Monty want to make this team what it’s not by forcing them into his system. He has to just let them play to their strengths! At what point will supporters of the Pelicans stop asking for patience, and just ask for support for a lovable loser? Williams is a good coach, maybe he’s just not the right coach for this team right now? Maybe we can’t analyze Williams’s job until after the season, depending on how deep we go in the playoffs- wait, what? No playoffs? Oh, ok this is a great draft, and we’ll get the missing- Oh, only if we land in the top 5? But we’re in all these losses; they’re close? No? But the hard nosed defense we came to love from the early Williams era is showing? Dunkathons? Anderson getting schooled? Gordon giving up if he’s not on the perimeter? Morrow getting legit minutes? But the offense must be cranking with all these weapons, right? 11th in PPG. Ok. Whew. Well at least Williams can hang his hat on a dynamic offense that moves without the ball, spaces well, and plays with energy. What? I just wish the “training” “staff” would get the Pelicans to stretch better and drink more water. The absurdly bad record of injuries is out of control. It can’t be bad luck season after season. Get sneakers that fit better. Get a team yoga instructor. Maybe actually innovate ways to prevent injury. Too many excuses and not enough wins. It’s bigger than “all the teams have the same issues.” We need to be fostering a culture where people are excited to go to games. But the games are expensive, and there’s too much else to do in New Orleans to ask people to support a lovable loser for 41 or 82 games a year. This is NFL/SEC/Big East FOOTBALL territory after all. This is the group of Pelicans players that are supposed to get to the Finals. Obviously the Finals were not going to happen this season, but I was really hoping hard for the playoffs. I just worried that the injuries are due to some degree to a staff and administration that doesn’t do a good job keeping players healthy. I see how Evans slides around inside his shoes and I wonder why there isn’t a specialist on staff fitting players with the best fitting equipment. I know injuries happen on every team, but there are so many fewer in Phoenix, and our team is so young. Just like players and coaches, there must be better and worse training staffs around the league. It seems like we need an upgrade. Everything you say sounds right. We all want a winner, not a lovable loser. I’d rather root for a team full of a-hole aggressive jock thugs that win, than a team full of Christian boyscouts that don’t make the playoffs. At some point we have to ask, is Williams waiting to make a move to a more aggressive style, and going the extra yard for a win? Or is he out of moves, and happy to lose with class? NBA south of the Mason-Dixon line is in dire straits to survive except in Houston,Dallas,San Antonio & Miami but in the ATL and NOLA struggle with attendance and if you want the white fanbase to attend games in the south you need an Bird,McHale and Anige for that to happen.Don’t take it the wrong way all im saying is theres an racial angle in the deep south when it comes down to interest of the NBA. Papa Pelican This is the most ridiculous thing I’ve ever heard. Do you know how diverse New Orleans and Atlanta are? Sure there is a probably with attendance in New Orleans, but it has nothing to do with race and everything to do with the city’s love for the Saints. 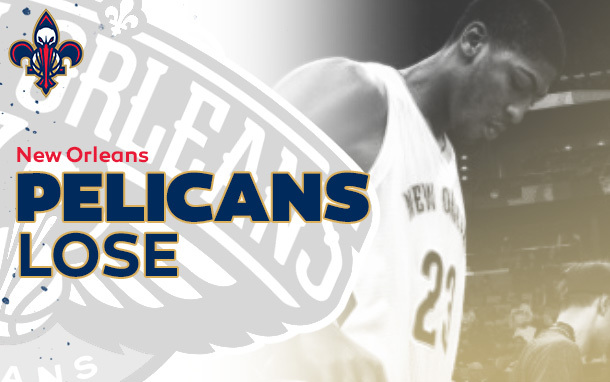 Loyal fans watch the Pels from day one, but casual fans don’t get on board until February. What do you think you can get for Gordon, given you have to take back close to $14M in contracts and Gordon gets his $14+M for 2.75 more seasons? With his injury history, Gordon is virtually untradable. If you do make a trade, you will likely have to take back shorter contracts of a similar amount for guys who can’t play anymore. If the Pelicans could field a winner, casual fans would be more likely to get involved earlier on. It doesn’t have to be either/or. Fans can support the Saints and Pelicans at the same time, they just don’t bother because the Pelicans are so, so far from contending, despite having Davis. By the way, I don’t think attendance is racial, but I do think more wins would equal more attendees of all colors. They are not far from contending. They have a great home record and a bunch of exciting players outside of Davis. Wins are important to attendance, but it’s more about consistency of players, executives, owners. A lot of the diehards that were created by the CP3 years were really disturbed by the sale of the team to the NBA and subsequent activities that followed (vetoed trades, etc). Now that we have the infrastructure in place, attendance will follow once this city learns they can trust this team is here to stay and win. I already know they are. Everyone else will get on board when football season ends I guess. Papa Pelican Phil Robertson…Is that you? Your news crushed me today. I will have to call my season ticket rep to let them know I will not be renewing because I’m white. Your arguement holds no water. Without looking at rosters, I’m going to guess the Pels have a higher % of white dudes on the roster than the Saints. The trade Gordon,Aminu,Stemer,Roberts and rivers for better talent i’ve be very happy. Don’t compare me to a redneck.if you understand what was said on my post what im saying is something about this is not right.What is going to take to realize this don’t have nothing about if the team wins or loses it’s about if the NBA in the south can make it without any reservations. I know New Orleans is diverse it’s regional thats the problem no team should not have to please people all because your team is not diverse enough damn im tired of people taking it the wrong way. We should’ve kept Lopez and not sign Aminu and Stemsma…..and just took chance on a journeyman small forward…..
We played tight and our shooting was cold. Games like this happen. I don’t think there was any coaching problems that led to this. I actually like the flow of our offense, but shots that normally fall weren’t going in. I was not that bitter about this loss. The Clippers take dives. A LOT. The flop that Crawford did on that three pointer was ridiculous. He should be fined for that. I can’t wait to get another shot at those fools when they come to the Hive. Payback’s gonna be a beotch. . .
Also, did anyone else see that ridiculous dunk by Davis off of a missed Holiday 3 pointer in the last minute of the game? That guy’s a madman. mateorthe Holiday trade was a huge win for these guys. Holiday is really, really, good. His defense is WAY better than I thought it would be, and he’s showing that he’s a more than serviceable passer and scorer. I’ll gladly take him over a teenager with a busted knee, especially when we already have a franchise big man. The chips have been pulled up to the table prematurely, but we’ve still been dealt a pretty solid hand. This season will be an excellent litmus test for Monty. He’s going to have to step up and think a little out of the box. I do like the fact that he’s embraced a faster tempo. He’s just got to learn how to coach a fast break team, something he hasn’t had a lot of experience with. If he can’t figure it out this year, I would consider giving him one more year IF the players have faith in him. Because I feel if this unit spends more time together, they’ll start to gel better. Papa Pelican the Celtics and Nuggets would never in a million years do those trades…. The amount of criticism Monty is getting is hilariously unfair. Did people honestly expect us to make a few moves and then all of a sudden be on par with the Spurs and Thunder? I understand that it may be frustrating but we just completely overhauled our roster in two years time. This isn’t 2K14 where you just plug guys in and start playing. We haven’t played to our full potential for a few reasons. First, we haven’t had that many games where our “Finishing 5” is healthy and together. Chemistry and execution are things you build over time. Second, we don’t have to win right away. Our core group of guys are all in their early to mid 20’s. So Monty has been experimenting a lot with different line-ups And third, we don’t have that many guys with good basketball IQ’s. That is often what leads to the many easy baskets we see. Let Monty coach and let the players play. We aren’t under the pressure to win now. We are still a young team. Did anyone watch Spurs/GS last night? SA beat them with their core on the bench. Coaching can go a long way in the NBA. The Pelicans are a long, long, long way from being relevant in the West. Papa Pelican I guess putting a championship type team on the court just isn’t good enough for some whites? Well I got some bad news for you they aren’t enough of them in the league to go around. Kevin Love , Ginobili, The Nets Lopez, Nash(use to be), Dragic, Dirk and David Lee can’t play for the other 24 NBA teams. I wish we had two of them, but we don’t. So SUPPORT YOUR LOCAL TEAM IRREGARDLESS OF RACE. I agree very much with some of the post that have talked about Monty’s main issue is that he forces his players to play into his system which does not suite some players molds. I think a prime example of this is with Xavier Henry. He was a guy that played a very minimum role on a rebuilding team, but then goes to the Lakers and becomes a major part of their team. Obviously Henry has game, I just feel like we under utilized his abilities because he didn’t play exactly how monty wanted him to. I think Monty has a tremendous understanding for the game, I just feel that he has lack of experience in the coaching department. I think the best remedy for the pelicans would not ditching monty, but putting a good veteran staff around him that could provide a tremendous amount of aid as he and a young pelicans team begins to figure everything out. There’s been a lot of talk during the last few years about whether a starting center is really needed or wanted on an NBA team anymore. This talk only started because we’ve begun to see teams win without one (Spurs, Thunder and Heat, for example). Bosh is not a true center, Tim Duncan is really a power forward, and the best center on the Thunder is Kendrick Perkins. The truth is that every NBA team – given the choice – would prefer to have a solid starting center as opposed to not having one on their team. Similar to the quarterback position in the NFL, there unfortunately are not enough quality players alive in the world today for every NBA team to have a legitimate starting center. Only about half of current NBA teams have one on their roster today. Look at the teams who have succeeded without a legitimate center, and it’s obvious they each have more than one superstar on their team that helps overcome the lack of a center. Clogging up the paint with a good big goes a long way towards making a team better defensively. Look how the Pels abused the Grizzlies inside recently with Marc Gasol sidelined. Notice how the Heat only started to take over the game the other night against the Pacers when Hibbert fouled out. Pelicans fans should wait until Dell Demps gives Monty Williams a good starting center on the roster. If the team still struggles after that, perhaps it might be appropriate then to start heaping blame on the head coach. I agree with you clam down.